Flexicover Insurance is one the UK’s leading direct sell travel insurance providers, focused on providing a range of policies at reasonable prices. Regulated by the Financial Conduct Authority, Kent-based Flexicover is a division of Citybond Holdings Plc, which has been trading since 1983. You can get a quote at the Flexicover website. Add the promotion code 'FXA10' on their quote form to get 10% off the price of any policy. 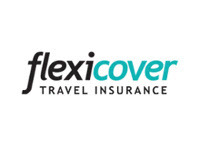 Flexicover offers insurance for single trips, annual travel and gap years, as well as additional winter sports cover. There are two levels of cover available: Essentials and Elite. Both levels offer a comprehensive range of features and benefits, although Elite offers additional cover for emergency replacement of baggage, delayed and missed departure, and abandonment. Elite cover also offers higher claim amounts, for example £10m in emergency medical expenses, compared to £5m for Essentials cover. Policy excesses are also higher on Essentials policies; £100 for trip cancellation compared to £75, for instance. Single trip insurance covers trips up to 31 days, and includes free cover for over 30 listed sporting activities, plus no extra cost for cruise holidays. Annual cover offers protection for trips of up to 31 days, with no limit on the number of trips taken throughout the year, plus free cover for more than 120 sports activities and optional cover for pre-existing medical conditions. Flexicover’s Gap Year policies are particularly comprehensive, even offering cover for hijack and kidnapping (which is not available on single and annual trip insurance), a huge range of sports activities, temporary returns home and a discount for two people travelling on the same policy. Right for you? Get a quote online and quote promo code 'FXA10' to save 10% on any policy. What about pre-existing medical conditions? Flexicover holiday insurance will offer cover for some pre-existing medical conditions, but not all. Declarations can be made when obtaining a quote, or via www.healthscreen247.com, which will tell you if your condition can be covered or not. Regardless of your declaration, Flexicover will not insure you if you travel against medical advice and your policy may be invalidated if you do so. How much does cover from Flexicover insurance cost? The cost of Flexicover holiday insurance will depend on a number of factors, such as the type of cover you require, the duration of your trip, any pre-existing medical conditions, and so on. 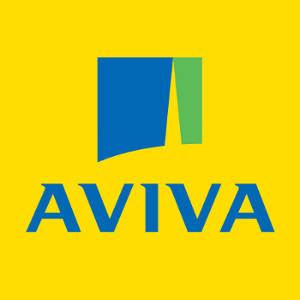 The company has built its brand around offering solid cover at a reasonable price, although bear in mind that you may be subject to additional fees, such as a policy issue fee (£1.80) and a fee should you cancel within 14 days (£5). Quotes accurate as of July 2018. Get a tailored flexicover.co.uk travel insurance quote here. What do Flexicover travel insurance reviews from customers say? On Feefo, Flexicover has 4.6 stars out of a possible 5 from over 2,000 customer reviews. On TrustPilot they have 8.8 stars out of 10 from over 300 reviews. Which? rates Flexicover insurance as one of its recommended travel insurance providers, giving its policies 74% and its customer score 68%. Meanwhile, Defaqto – the independent reviewer of financial products – has awarded Flexicover’s Gold and Platinum policies 5 Stars (2a product with a comprehensive set of features") and its Premier cover 4 Stars ("a product with a good level of features and benefits"). "The advisor I spoke to was brilliant, very helpful and made the whole process very easy for me, I will highly recommend to my other dog g..."
Get a quote from Flexicover Travel Insurance.